A very interesting piece of research on violins and their quality, presented here, brings to mind various effects which influence our judgement when we buy or consume something. I’ve often heard it said that you can’t beat a Stradivari or a Guerneri violin for sound quality and ‘character’, and generally the people saying it are virtuoso violinists, so I would have little hesitation in deferring to their judgement, though I would naturally want some evidence about what makes these older violins better, and why these features can’t be reproduced by modern violin makers. And even though I would readily concede that others have a better ear for quality sound and quality music than myself, terms such as ‘depth’ or ‘richness’ of sound or timbre do have rather a ring of subjectivity to them. The double-blind research essentially found that even expert musicians and musicologists couldn’t distinguish a Stradivari from a modern instrument. The comments on the above-mentioned piece, including comments from one of the people who conducted the research, are for the most part quite enlightening, but there’s a lot of special pleading which tries to dismiss or downplay the essential finding – which is, that claims about these early violins being superior to anything made since are simply bogus. This finding can also be applied to other musical instruments [guitars being a favourite among the commentariat], as well as wines, cheeses and other products people like to get sniffy about. These non-evidence based preferences are largely a product of the Veblen effect. The prestige associated with eating, drinking, owning or playing an expensive big-name item tricks you into believing it tastes or sounds better than something cheaper or less well-known. 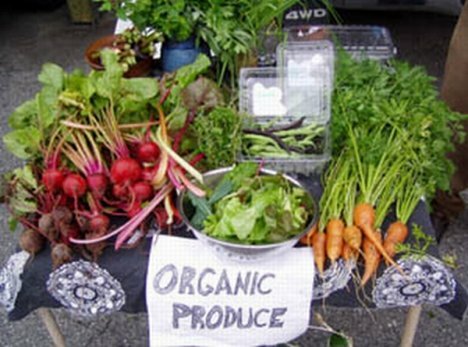 The same effect, essentially, accounts for the general claim that ‘organic’ food tastes better than non-organic food. To those inclined that way, organic food has a prestige, a cachet, which other foods don’t possess, and this will ‘trick’ them into swearing that they can taste a real difference when they know, or think, they’re eating something organic. With organic food there’s also the halo effect to worry about – that’s when you believe that because you’re eating something that is good for you, you can taste that goodness [the nutritious goodness being sort of enriched by moral goodness]. For example, in one little experiment, when subjects were offerred sandwiches and other foods labelled organic and those labelled as not organic, they almost universally preferred the flavour of the organically labelled products. There was in fact no difference between the two. Will we ever be able to answer definitively this question about the supposedly superior flavour of organic food? I very much doubt it. We might like to imagine that, though taste is subjective, flavour is a matter of chemistry and can be scientifically analysed, but that doesn’t mean people will agree on flavours other than in the broadest terms. Where the differences are minute, as they generally are with organics, and with many wines, cheeses, olive oils, etc, we’ll never come to an agreement, and psychological effects such as the Veblen effect and the halo effect will continue to play a big role. Still, the more educated we are about these effects, the better.